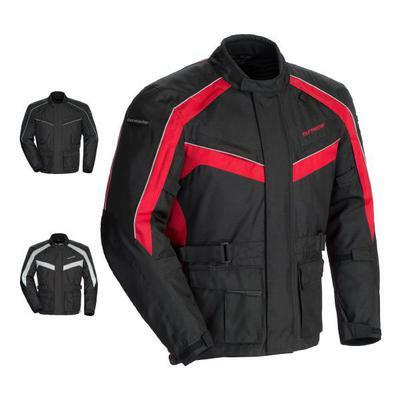 The Tourmaster Saber Series 4 Jacket is full of features at a price that won’t break the bank. Designed for mild, cold and wet climates, the ¾ length 500 denier outer shell features a waterproof and breathable liner that is ready for all conditions while the Z.O.Q. (Zip-Out Quilted) Liner offers warmth on cold days.